The AFAM DRCP3 chain tool is designed for use by professionals in the workshop. With this device you can open easily chains from the series 520/525/530/630 and rivet again. 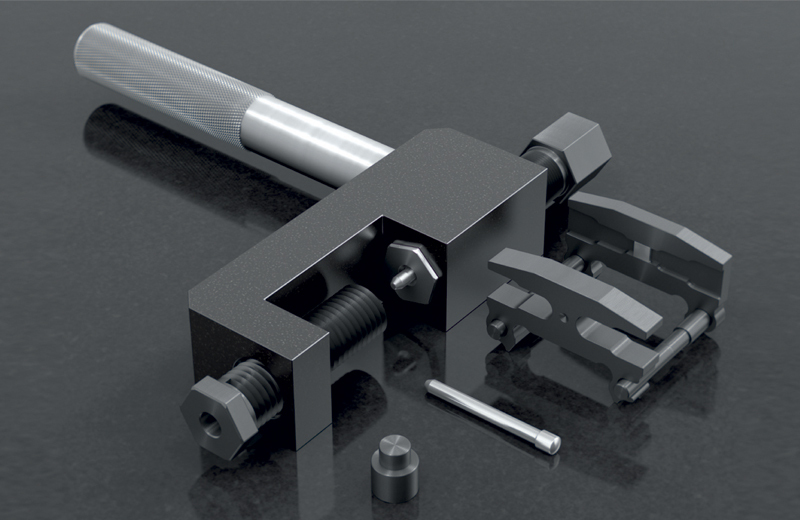 The reclosable package contains all the necessary tools to open a 5/8 pitch chain and rivet connecting links with hollow pin head perfectly. It presses the loose plate on the pins of the connecting link and puts it at the right distance. Your connecting link to the other links of the chain and at the same time the pressure on the X-rings is perfect. An intelligent and practical design combined with high-duty components. A necessity for any mechanic who loves quality and customer satisfaction. All DC and AFAM chains are supplied with hollow pin rivet type connecting link.